Mellissa is the owner and manager of Casey’s Top Catz. 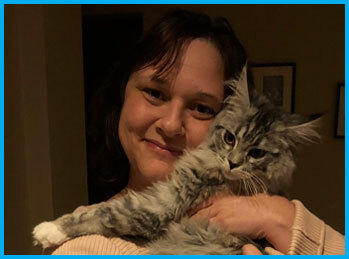 After being a stay at home Mum for many years, the families love of cats led them to a new adventure, adding newfound purpose and passion for taking care of your furry loved ones. Michael is also the owner and manager of Casey’s Top Catz. 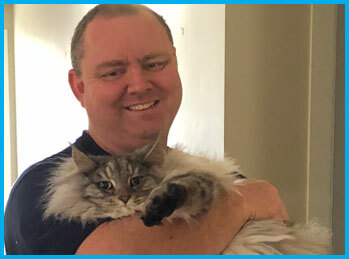 Michael has run a successful powder coating business for many years, and is now a part-time figure around the cattery. 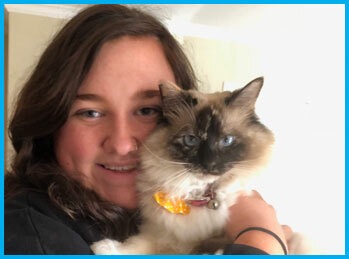 Emily is nineteen years old, and is studying psychology at Deakin University. Emily visits the cattery twice daily to pat the cats and ensure that their needs are met in regards to playing and social interaction. 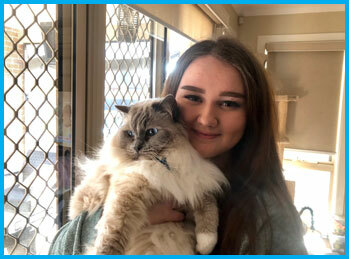 Kelsey is seventeen years old, and is currently studying animal studies Cert 3 and doing Year 12 VCAL. She aspires to become a veterinary nurse. Kelsey does all of our nightly feeds.